The aspiration node with an oblamyvatel is included in the package. The prices are specified on conditions FCA Бадовка. Advance payment of 60% , upon readiness before shipment other 40% . Implementation of the order of 60 - 90 days. 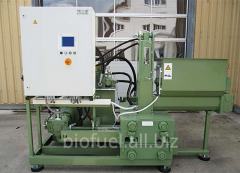 biofuel ― fuel granules (pellets) and fuel briquettes. 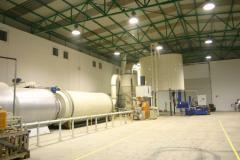 Our company has an opportunity to make for you the line of production of a fuel granule. 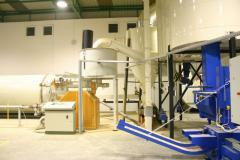 Concerning a complete set, installation, special offers, a guarantee, service, cost address managers of the company. - we do not go in cycles in the overview of the equipment or in just sales, our purpose to solve the customer's problems of his desire. - we are a team of professionals which does favorite thing and derives from it a sheer pleasure. - we offer the modern equipment, advanced technologies and are ready to apply all the knowledge and abilities to the solution of the tasks set for us, and in it we see the key to success. 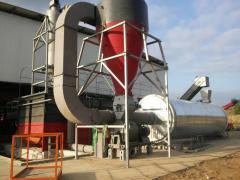 - we solve problems of any complexity in the field of production of a solid biological fuel, the granulated forage, to drying of all types of waste and we execute "turnkey" orders. 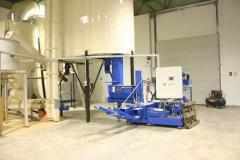 Unbelievable price on RUF LIGNUM briquetting press (EU) in Rovno (Ukraine) company BIOSMARTEKS, OOO.